Client testimonials and case studies offer an enormous boost to a business’ ability to convert new customers into the sales needed to grow your bottom line. Not only do glowing reviews about your business help to attract new clients, they also offer immediate credibility for your brand. Several years ago, WikiJob and VWO conducted an A/B test to determine the true impact of client testimonials. The test found that when visitors to a business’ website were able to read positive feedback from satisfied customers, sales increased by 34 percent. Of course, simply throwing a few of your best client quotes and case studies on your website won’t be enough to generate the new business you want. You need to put some thought into how you deploy this marketing tool to generate maximum results. Here are a few tips that will help get you started in the right direction. The first place to start is deciding where to strategically place your client testimonials. Taking a cue from MECLABS’ Landing Page Optimization Course, we know that the eye movement of internet users leads them to work across the page. From this, they determined that there are two optimal places worth testing: the sidebar of a website and the product pages themselves. You can conduct your own form of A/B testing to determine which placement works best for you. Make sure to examine even the most minute details, such as the distance between the “Add to Cart” button and the testimonial text. These type of little details can make a big difference when it comes to converting a visitor into a sale. Simply showcasing proof of previously satisfied customers isn’t enough. Your testimonials need to actually resonate with the type of new client you’re trying to attract. For example: If you’re a local web design company that builds websites for a variety of small businesses, it’s not enough to have a few clients sing your praises. If a dental practice in need of a website reads a case study or testimonial about a great ecommerce site or small boutique website you’ve built, that does nothing to convince them you’re the right web design firm for them. However, if a led generated from a healthcare industry website sends them to a landing page that focuses on their niche and includes testimonials from healthcare clients whose websites you’ve built, now you’re providing relevant information that could help the potential client decide that you’re the right company to build its website. In other words, generic testimonials won’t generate the type of impression that relevant, well-tailored ones will. As any business on Yelp can tell testify, you can’t always pick your reviews. While this may be true on third party websites like Yelp and Angie’s List, you can certainly pick which reviews to highlight on your own website. When taking the time to select which reviews to highlight, make sure to give equal consideration to the good and the bad. A review that starts out with a negative but concludes with the reviewer positively discussing how you remedied the situation can be even more effective than ones that simply state what a joy you were to work with. All businesses make mistakes, but how they handle those moments can give customers a much better sense of what a business is truly like than when everything goes as planned. Additionally, when choosing what to highlight, look for reviews that call out a company representative by name. A review that states something along the lines of “Steve was great. 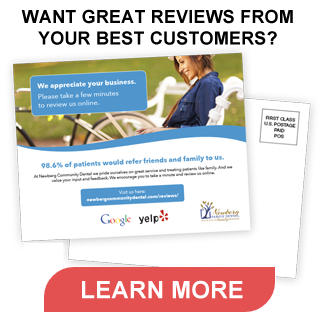 He really helped us select the right product,” puts a human face to your business and adds a personal touch to a review. When you boil it down, a static testimonial on your website from a satisfied client is nothing more than just a few words on a screen. In today’s digital age of fake news and clickbait headlines, people have become far more cautious about simply believing what they read online. Authenticity is a hard thing to create in an impersonal setting like a reviews page or case study breakdown, and a lack of reinforcement can lead to some doubt on the part of potential new clients. To counteract the impersonal nature of online reviews, consider expanding your approach to testimonials to move beyond the quote and into video. Short testimonial videos of your satisfied clients provide a sense of authenticity that you cannot recreate in text. There’s something to be said about the value of seeing a real human face as they provide feedback about your business. In addition to embedding videos on your website, also consider using platforms like YouTube to help reinforce your testimonials. Many companies have enjoyed success by publishing short videos of enthusiastic reviews from ordinary customers. If you’re a small business looking to establish credibility online, it pays to be creative with your testimonials and case studies. You’re trying to establish a reputation, and a great reputation begins by earning your customer’s respect. A potential new client needs to know they are dealing with a stable and reputable business that has an established history of delivering on what it promises. What better way to build the trust needed to establish new working relationships than by promoting your old success stories?